• 100LL: $4.99 / gal. • 90 Octane, ETHANOL FREE: $4.75 / gal. * Hangars available for rent. None open at the time. Welcome to Reigle Airport, home of Reigle Aviation. Thanks for joining us for our 75th Anniversary celebration for our annual Nostalgia Days event last September 23th and 24th 2017! We had rides and fun for everyone! Come in anytime to take to the sky in an airplane ride touring the Hershey area! Come back this year to enjoy an aerobatics ride in our Pitts with Captain Duane Reigle, co-owner of Reigle Airport and Captain for Frontier Airlines! From mild to wild, you decide! Reigle Airport was established in 1942 by Chas and Ada Reigle, with the aspiration of providing access to the sky for aviation enthusiasts. Genuine, friendly service, Reigle's family-owned flight operation base is a place for comfort and familiar faces. 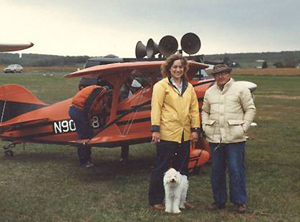 Four generations later, the Reigle Airfield continues to fulfill the aviator's needs. 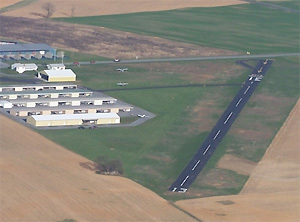 Reigle Airport is conveniently located 5 minutes from scenic Hershey, and only 20 minutes from Harrisburg.